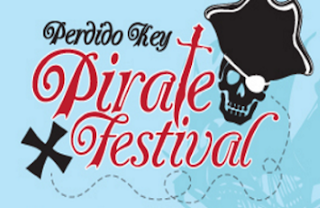 This family-friendly event in Perdido Key Florida will feature exciting activities for everyone. The Pirate Festival will be filled with delicious foods, prizes and pirates. Everyone is encouraged to wear their best pirate garb. Pirate Captain Davy will be teaching the young pirates some sea-shanties, magic tricks and more - and who knows, there may even be a mermaid! There will be local food vendors and also a variety of arts and crafts vendors set up. This popular event will be held at Big Lagoon State Park, located off Gulf Beach Hwy adjacent to Perdido Key.